It seems the smart speakers war is heating up, and Amazon is looking to stay out ahead of the pack. 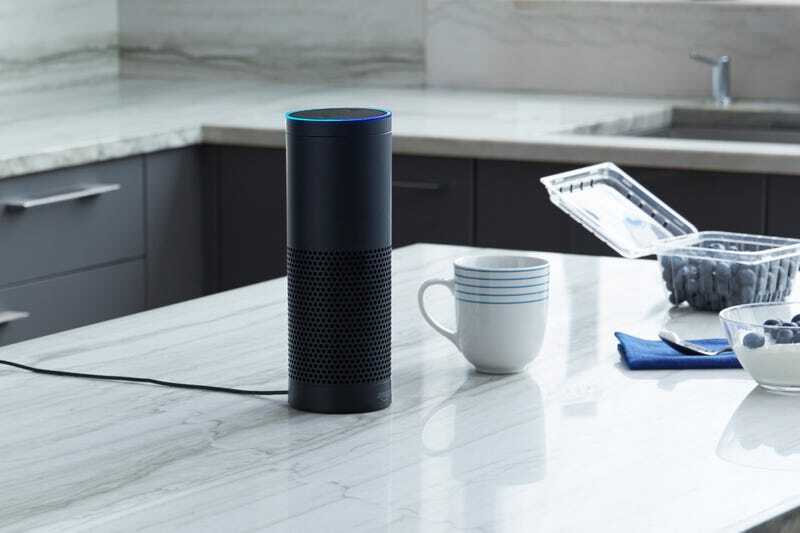 Starting today, Amazon is finally adding a feature for Alexa-enabled devices that will let you group multiple speakers together so you can synchronize your music across various rooms. Currently, the feature works with streaming platforms including Amazon Music, TuneIn, iHeartRadio and Pandora, with Spotify and SiriusXM support said to be coming soon. Setup should be pretty simple, as all you need to do is go into the Alexa app, create a group like “upstairs” or “family area” and then assign all the Alexa devices in your kitchen, living room or wherever to the group you want. Now some of you might be wondering what took Amazon so long to add this kin of functionality when companies like Sonos have been doing multi-room music playback for years. But Sonos’ integration with the growing number of smart devices is almost non-existent, not to mention its current dearth of voice-enabled capabilities. But what makes this announcement really interesting is that it comes just a day after a recent FCC filing by Sonos was found detailing a new smart speaker with support for multiple voice-enabled digital assistants. Then early this morning, Sonos itself sent out an announcement about an upcoming event on October 4, which at this point is almost certainly about the device found in the FCC filing. This makes the timing of Amazon’s new feature seem like it’s more about derailing Sonos’ momentum before Sonos’ new product even gets revealed. But that ain’t all, because Amazon also has Apple’s $349 HomePod to worry about. While the HomePod isn’t scheduled to arrive until December, the eight speakers inside Apple’s Siri-powered sound system should offer a vastly superior audio experience to what you get from an Amazon Echo. All this is setting up to make this holiday season a massive battleground for smart speakers, whether you like it or not. And even though Amazon has a commanding lead, there’s no guarantee things stay that way.